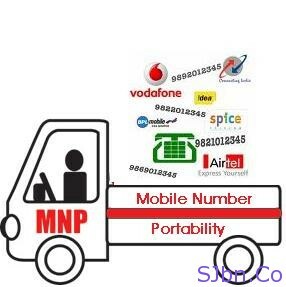 Q.1) What is Mobile number portability (MNP)? A.1) Mobile Number Portability or MNP let you continue with your current mobile telephone numbers when you are changing from one mobile network operator to another. Q.2) If I didn’t port my number before the expiry date of Unique Porting Code, will I not able to port anymore? A.2) In general UPC expires after 15 days from the day you sent the SMS to 1900. And Yes, you will able to port even after UPC get expire but you have to resend the same SMS and you will get a new Unique Porting Code (UPC) which you can use it to apply. Q.3) Will I able to transfer my current prepaid balance to new operator? A.3) No, you will not able to transfer your current prepaid balance to new operator. Q.4) In the process my mobile number will get disconnect? A.4) Yes in the seven days process your mobile number will get disconnect for two hours, in the night between 11 PM to 5 AM (IST). Q.5) Will I get charge for porting my number? A.5) Yes, you will be changed of Rs.19 for porting your number by TRAI (Telecom Regulatory Authority of India), which you need to pay to your new operator. Q.6) How many time I will able to change my operator? A.6) As for now there is no limit, you can port your number as much time as you want. But you need to complete 90 days with the new operator after porting. Q.7) I am currently using my number in West Bengal and want to port it to Delhi, will I able to do that? A.7) No, you will not able to port your number from one state to another, you need to port within the circle (state). Q.8) How old my number should be to port it to new operator? A.8) Your number should be 90 days old before you can apply for porting. Q.9) Only prepaid or only postpaid subscribers will able to take advantage of MNP? A.9) Both prepaid and postpaid subscriber can take advantage of MNP. Q.10) Will I able to take advantage of MNP without carry forwarding my dues of existing operator? A.10) No, there should be no dues before you port your number to new operator. Q.11) What are documents I need to carry when I go to apply for MNP? Q.12) Will able to shift from CDMA to GSM or GSM to CDMA on MNP? A.12) Yes you can shift from CDMA to GSM or GSM to CDMA in MNP, just you should have supported mobile for that. Q.13) Will I able to cancel my MNP request? A.13) Yes, you can cancel your MNP request within 24 hours from the time you requested for MNP, with a written application. Q.14) Will I get refund of Rs. 19 porting after I cancel MNP request? A.14) No, you will not get your refund of Rs. 19 after once you made the request for MNP by submitting the form. Q.15) Can in use MNP for my landline phone? A.15) As MNP is Mobile Number Portability so it is only for mobile not for landline or any other, so answer is No. Q.16) Will I get a new SIM card from new operator? A.16) yes, you will get a new SIM from new operator before your number gets ported. Q.17) Do I have to return my old SIM card? A.17) No, in any case you don’t need to return your old SIM card. Q.18) If I have Vodafone number register on my name and I want to transfer it to other person’s name during the process of MNP, is it possible to do? A.18) No, you can’t transfer the number to the other person’s name during the process of MNP. Q.19) How will I get to know, now I have to change my old SIM card with the new one or how will I get to know my number is ported to new operator? A.19) You will get an SMS with the date and time of porting so according to that you can change your SIM card. So if you are going to change your operator then do let us know by commenting below and also with the reason so other also can know about that operator. And if I have missed any questions which you want to know regarding MNP do let me know by commenting below.